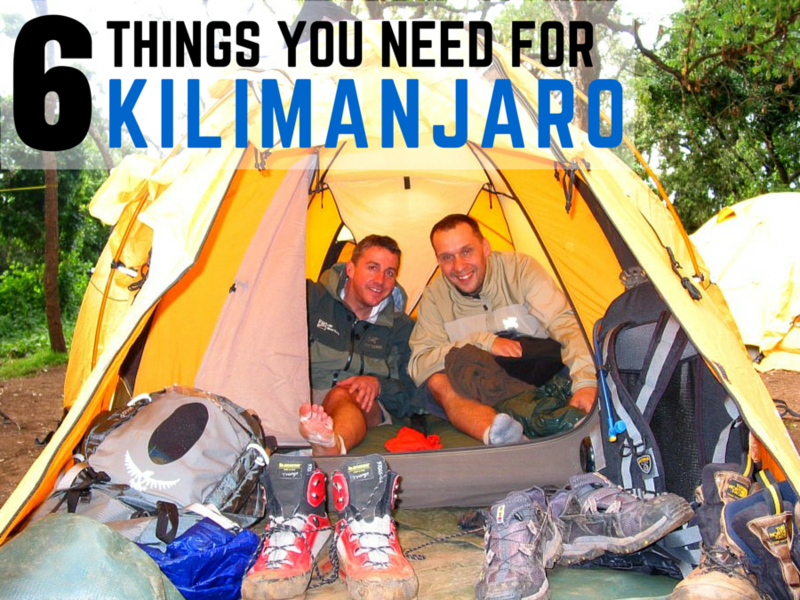 Putting together a Kilimanjaro packing list is the first step in ensuring a safe, successful climb. The right gear means the difference between hiking comfortably and feeling miserable or ill-equipped during your journey. The clothing you wear, for example, has an undeniable impact on how well you handle the physical activity of your climb, and supportive shoes with deep tread are vital, as well. Tusker Trail is happy to supply every climber with a list of all the tools you need to tackle the highest summit in Africa. Following a checklist guarantees that you don’t forget to pack must-have items. Wearing clothing that protects you against the elements improves your chances of summit success. You’ll face cold, wind, likely some rain, and possibly snow as you climb Kilimanjaro. A windproof, waterproof, and breathable rain jacket will keep you dry, and a heavyweight down jacket will keep you warm. To protect your head and face from the elements, you need a buff, beanie (toque) and wrap-around sunglasses. Windproof and waterproof gloves will protect your hands, so include them on your Kilimanjaro packing list, too. As you’ll be trekking through four climatic zones on Kilimanjaro, understanding the concept of layering is crucial. You need the right clothing to be able to layer up or down to adjust to the changing weather and varying activity levels. In addition to your outer protective layers, you’ll need a variety of heavyweight, midweight and lightweight layers to stay comfortable. Do not use cotton as it gets wet and does not dry quickly. 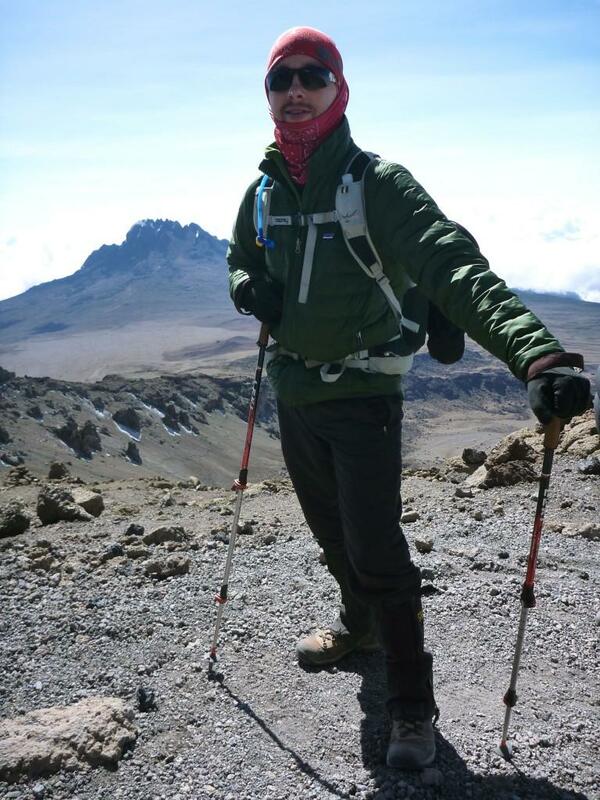 A good, comfortable pair of hiking boots are a must when you climb Kilimanjaro. Your footwear should be midweight, waterproof and provide some ankle support. Make sure to try on lots of different brands to see which fits your foot best. It’s very important to break in your boots BEFORE the climb to avoid blisters, lost toenails, and discomfort. Wear them on at least 3 long training hikes before you climb Kilimanjaro. 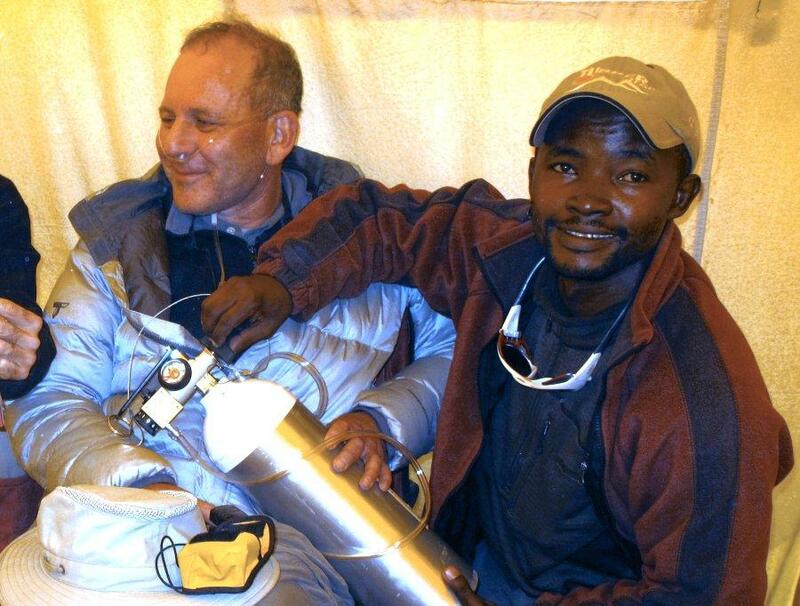 Nights can get cold on Kilimanjaro, especially once you get above 10,000 feet. You’ll need a warm sleeping bag rated to at least 0 ºF. You have two basic options when it comes to sleeping bags: synthetic or down. There are pros and cons to each type. The down bags are lighter, but they’re also more expensive and don’t dry very quickly. Synthetic bags are slightly less expensive and dry more easily than down, but they’re also heavier and more bulky. If you don’t plan on using a warm sleeping bag often or just don’t want to lug it over to Kilimanjaro, you can rent a bag from Tusker Trail. Tusker rents Mountain Hardwear Synthetic mummy bags rated to -30 ºF to keep you nice and toasty. 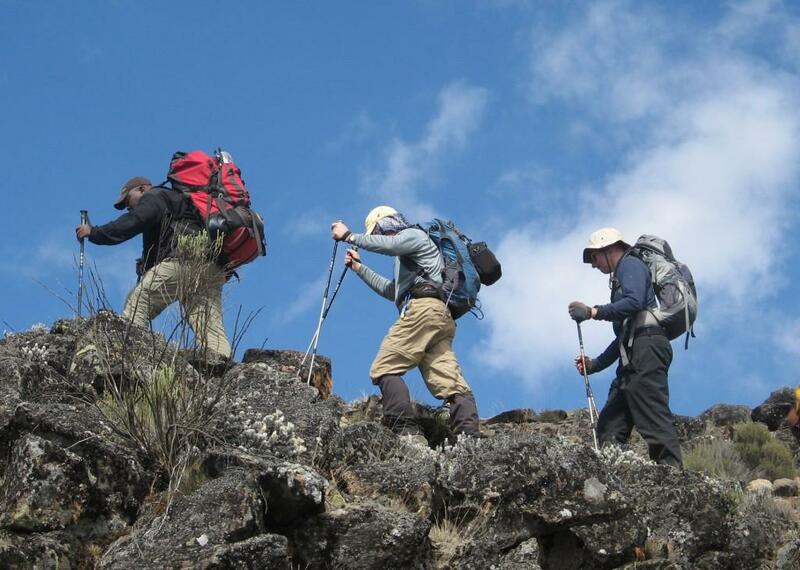 Tusker Trail’s first priority on Kilimanjaro is safety. Tusker Trail guides monitor all climbers as they climb, as well as Tusker crew members, for sickness and altitude issues, and they bring along crucial safety equipment. The safety equipment that your climbing company should carry (although many don’t), are pulse-oximeters, a portable altitude chamber, oxygen tanks, and a stretcher. You need a daypack on Kilimanjaro to carry anything you want access to while you’re hiking. This is where you will store your water and personal items, such as extra layers, sunscreen, medication and a camera. Your pack should have between a 25-40 liter capacity. A comfortable hip strap will reduce the strain on your back. A backpack with the compatibility to hold a hydration bladder (such as a CamelBak) is convenient as are side mesh pockets to allow you to access water bottles and other items easily. You’ll also want to make sure that your pack has a rain cover. Tusker Trail issues all climbers a waterproof outer bag which contains your own duffel, which has the additional gear that you do not need access to while hiking. The Tusker porters will carry this up the mountain for you to access at camp. Hiking can place major strain on your knees and joints, especially on Kilimanjaro, where you trek up and down steep terrain for multiple days. This is where trekking poles come to the rescue. They act as shock absorbers and provide steadiness on scree and uneven terrain, reducing the impact on joints and knees by up to 25%. If you are going to purchase hiking poles (you can rent them from Tusker), consider the following: weight, grip, adjustability, and material. Good trekking poles are made from lightweight carbon fiber, have cork or rubber grips, and are fully adjustable. Find out everything else you to do to prepare for climbing Kilimanjaro. Now that you know what you need to climb Kilimanjaro, choose a time to go!